I am over at Eclectically Vintage today. Check it out here. Here is a quick project. 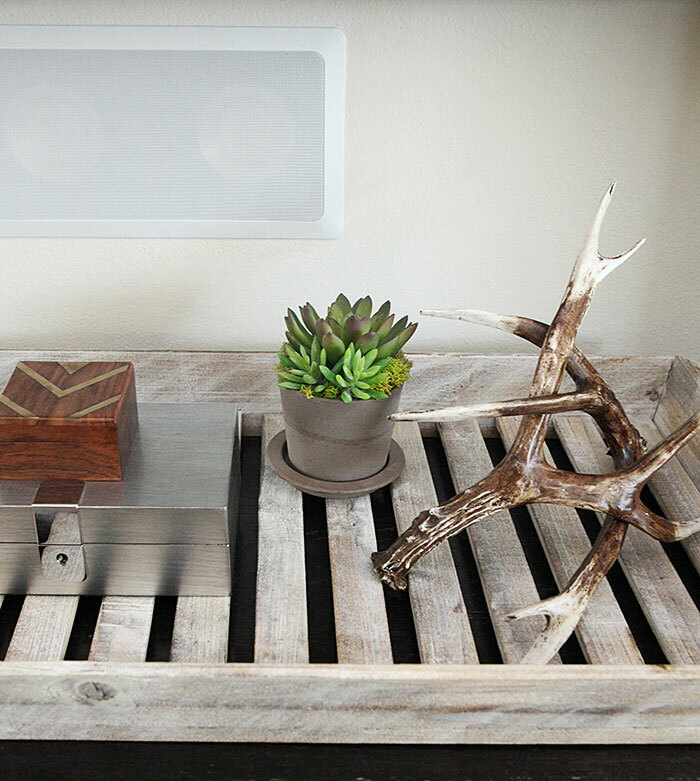 A forever succulent to add a bit of green to a tray under our TV. I love how these things come together so easily, and then add a little green around the house. In all their fake glory. I get my succulents at JoAnn's and I try to pick the ones that are the most realistic looking. Some of them don't look the part at all. IKEA planter similar, floral foam, green reindeer moss and a couple of forever succulents. Begin! Cut and place floral foam into planter, add moss on top. This is rocket science, I know. But then it's all downhill from there. To be honest, I just really enjoyed taking these photos. I got a new flash soft box that I am trying to get familiar with. I used it for the Pantry reveal - 5 things your next pantry needs photos, for the first time for the blog and it has been on my camera ever since. There is definitely a learning curve. Stand back and marvel at your creation. Tray from Antique Farmhouse, Bell Jar from World Market similar. White metal antlers - don't remember, Silver box from West Elm, Wooden box from Target(discontinued), Brown faux antlers World Market similar. 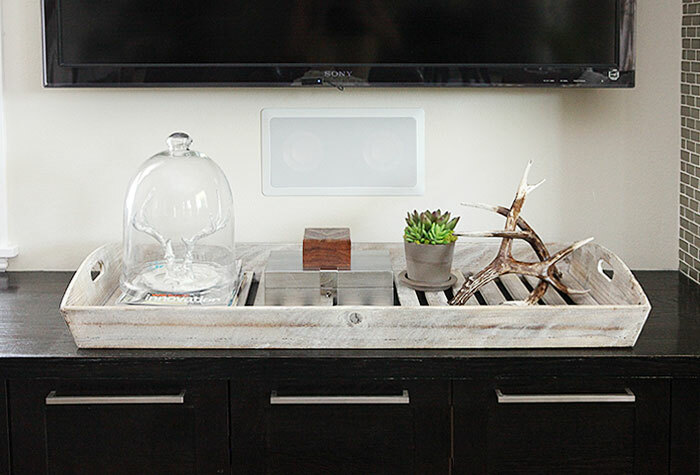 This article: My livingroom is having a moment with a 5 minute DIY succulent first appeared on http://ahomefordesign.com.